Today’s Flash Back Friday comes from Episode 131, originally published in January 2014. Justin’s work has been acknowledged by Presidents, Congressmen, World-Renowned Business Leaders, Non-Profit Executives, Authors, and Entrepreneurs alike for his ability to achieve extraordinary results. 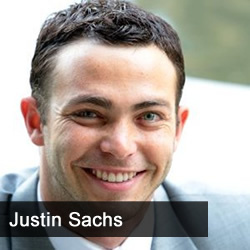 Justin’s philanthropic endeavors have won him many awards and accolades including the Prudential Spirit of Community Award, and Distinguished Recognition from the California Department of Education. Justin started a non-profit organization when he was 16 to inspire youth to engage in community service. More recently, he has been honored to partner with organizations like Kiva, Hugh O’Brian Youth Leadership Foundation, and The Illumination Foundation. Justin’s books and DVDs have been read by hundreds of thousands worldwide.